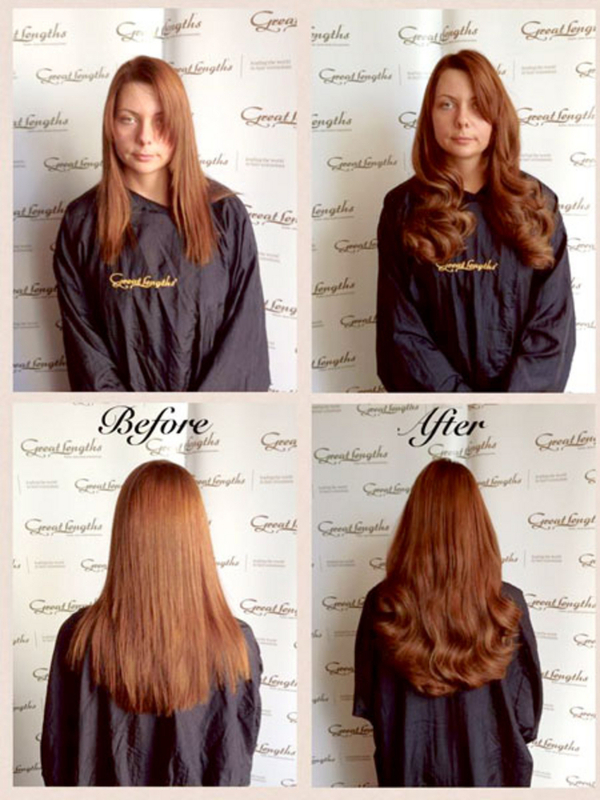 Launched in 1992 by David Gold, Great Lengths hair extensions have become known as the Rolls Royce of hair. The hair used in the extensions is sourced from the temples in India. David Gold only acquires hair in its natural, untreated condition prior to processing for extensions. The hair can be permed, coloured, and treated just like your own hair. Indian hair is used as it suits a wide range of hair textures. Indian women rarely go to salons for chemical treatments, so 100 per cent Indian hair is ideal for extensions. Great Lengths is very popular with A-list celebrity clients such as Eva Longoria, Kim Kardashian, Victoria Beckham, Jennifer Lopez, and Megan Fox. Great Lengths certified hair extension specialist in Koztello Hairdressing Athlone, Serena Norton, trained with educator Lorna Flannery in Great Lengths studio, Dun Laoghaire. The pricing of each application can only be determined after your consultation with Serena.